So I got bored and went crazy with freebies over at Amazon. Here are my favorites and as of writing, these are still free. So Disney is reported to be planning on producing a live-action version of CINDERELLA and it sounds like it's going to be a darker version and nothing like the 1950 cartoon they produced. No news yet other than Cate Blanchette is reported to star in the movie too. Maybe she'll be the evil stepmom? Fingers crossed that she is! Lily Collins is cast to play Jane in PRIDE AND PREJUDICE AND ZOMBIES. I haven't read the book but I'm curious to see this adapted in the big screen. It sounds hilarious... is it? 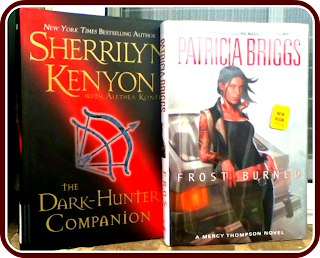 I actually have Frost Burned by Patricia Briggs to read next and also received Shadowlark this week! You have a bunch of awesomeness this week! Enjoy! I have to read Skylark back to back. Just waiting to get my YA groove on. I NEED to read more from Sherrilyn Kenyon - everything I've read I have loved. I can't wait to see P&P&Z in movie format, I really enjoyed the book - the mix of the original book and the zombie action is awesome! Yes! SKenyon is my goddess, love her work except for her sci-fi fantasy series. For some reason I can't get in to that. Very nice ladies. I'm hoping that Shadowlark will be at BEA and that I can get my hands on it. You guys have an awesome selection of books. Come visit me as well. BEA. I envy your haul during BEA. Gah! 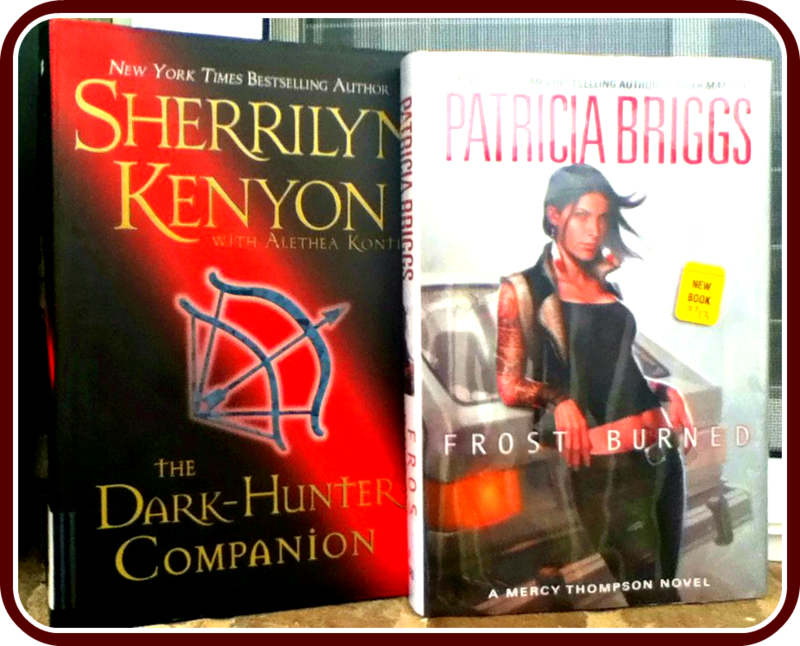 I really want to start the Dark-Hunter series, but it's so intimidating! Read it! You can actually skip some books, I don't like the Dream-Hunters, the Were-Hunters are so-so. Or you can just read Acheron, that's solid! Night's Awakening and White trash looks good, hope you enjoy. Alexandra Allred is LOL funny! She's writes hilarious chick=lit with a social conscience, I encourage you to read her books! That Dark-Hunter companion looks awesome. I'm up to book 9 now and have to remember to request it from a different branch because mine doesn't have it. I got kind of spoiled because it had all of the others, lol. Have a great week, Braine! I'm so happy everytime I see a DH book in your book haul. I plan to read it soon, I need me some Kenyon! So jealous of your toni aleo's haul. I got the 2nd book but couldn't download it *sad face*. Never read any Donna Grant but her covers are amazing!! Also, Cinderella!! I can't wait to see that! A lot of people love TAleo so I got curious and this serious sounds a lot like good romantic suspense or something. I can't get enough of those. Maybe you should try requesting it again. I really need to grab Toni's books. My hubby played hockey his whole life ~ hockey players rock! Ooohhh! How exciting! You have a lot of layers in you Miss Ali girl!!! Yes, yes you should in honor of the hubster! I just chanced upon the Cinderalla news myself! I guess it's fairly new that's why there's not much news yet but I hope they make one and thank god it's not KStew! I hope you got some of those freebies yourself!